A lot of people look at licensed home inspectors, and because of this licensing assume them to be more trustworthy and accurate because that person is licensed. Many also assume them to have stronger client protections as a result of this licensing. It’s understandable why people would think this (why wouldn’t licensing be better?) but unfortunately, you cannot look at a company and know, based off their licensing status, that they are worth your money and will deliver exceptional service. We have spoken to two attorneys that nationally represent inspectors due to complaints and the attorneys did not know of any evidence that licensing actually helps to ensure better consumer protection. Doctors, real estate agents, dentists, electricians, and more are all required to be licensed. However, as almost anyone would agree, the quality of any two people in these industries will vary greatly. Licensing is not a guarantee that you are hiring someone of quality; it simply means that this person or company has accomplished the bare minimum to be allowed to function in the industry. There is a much better way to gauge a home inspector’s or a home inspection company’s credibility and worthiness of your money! The most straightforward method is to simply take look at the company’s online reviews. Most people do not feel particularly compelled to fill out a review, unless they are extremely happy or especially displeased. Therefore if a home inspection company has a large number of positive reviews, the company has a very high ratio of very satisfied clients! This is one of the best ways to help ensure you will be well treated. Also do not only look at one or two companies reviews, look at at least 3 before calling them. It will also be worth your time to personally call the company and ask them any questions you have. Take note of how professional and knowledgeable they sound over the phone. Important questions to ask are how many inspections the company has completed, and what are the warranties/client protections that the company offers. Keep in mind that the person answering the phone is not necessarily the person who inspects. Busy and in demand inspectors are busy inspecting and will have systems in place to schedule inspections for them. It’s self-explanatory why you would want to know how inspections they’ve got under their belt; more experience means your inspection is significantly more likely to be a much smoother, pleasant experience. Ask about warranties. Warranties, are a home inspection benefit that many people do not think about, and that most home inspection companies do not offer. Think of this, how suddenly does a car break down, or need some kind of repair? Your home is similar to your car in that both of them contain many moving mechanical parts. Your home’s furnace is just as likely to randomly give out as your car’s engine or starter is, and that’s why it’s important to make sure you’re protected. 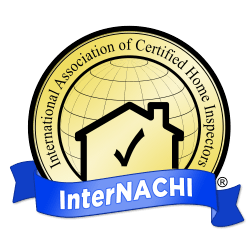 Higher quality home inspection companies will provide warranties to further protect home buyers such events. Be certain to ask home inspection companies if they provide any warranties. Some of the best warranties include 5 year roof leak warranty, 90 day sewer line warranty, 90 day warranty on the mechanical equipment in the home, and a structural warranty. Keep in mind that a home warranty is in no way a replacement for a home inspection. Licensing is a good start on helping to ensure that home buyers are protected from bad home inspection companies. Licensing will likely keep people planning on being terrible from getting into the business. However, licensing is only the beginning and is absolutely minimum standards. To protect home buyers people should look for more than just licensing. Look for online reviews, warranties, and of course recommendations. ARE YOU PAYING TOO LITTLE FOR A HOME INSPECTION?